We are here to assist you with any of your steel building needs. Are you looking to expand your business or personal hobby with a steel building? We offer our customers a variety of steel building options. We know what’s out there and can quickly provide a steel building solution that works for you. Whether you are looking for a kit you can assemble yourself, or need a turn-key building package complete with permitting, architectural, & construction details we can provide a solution that embraces your budget, time, local zoning requirements, & design preferences. We believe that steel buildings are a great value and an efficient solution compared to other building types. Many steel exterior finish systems and roof materials offer 40 year use life or more. Steel products provide some of the longest use life of any products available for building. Steel buildings have qualities that other building types cannot fulfill nearly as efficiently as steel buildings. Agricultural, Commercial, Garages, Retails Shops, Warehouses, Offices & More! Call Us. 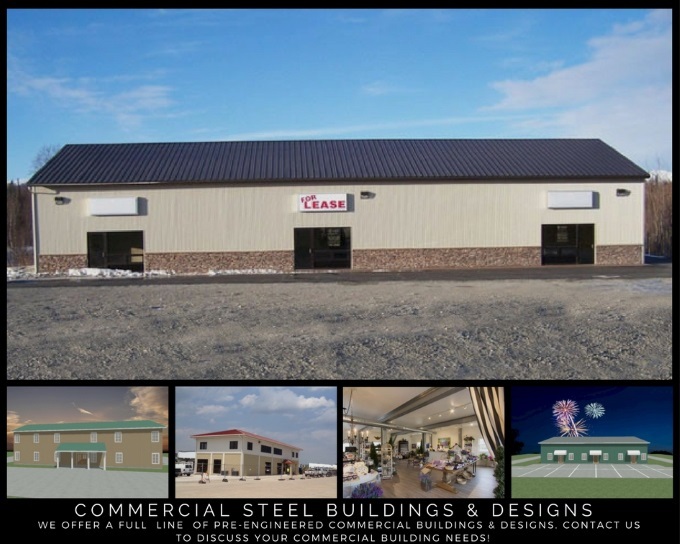 We’ll show you how a custom steel building can meet all your building needs and stand the test of time.